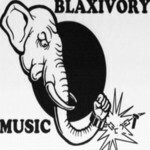 Sign up for Broadjam today to follow Blaxivory Music, and be notified when they upload new stuff or update their news! Blaxivory Records has released Blee new single (Respect Your Legacy)on over 400 music stores on line. You can see the video on Blaxivory Records.com, get your single now, and get the new single (BOTTLE)by SIR DOLLA BILL.